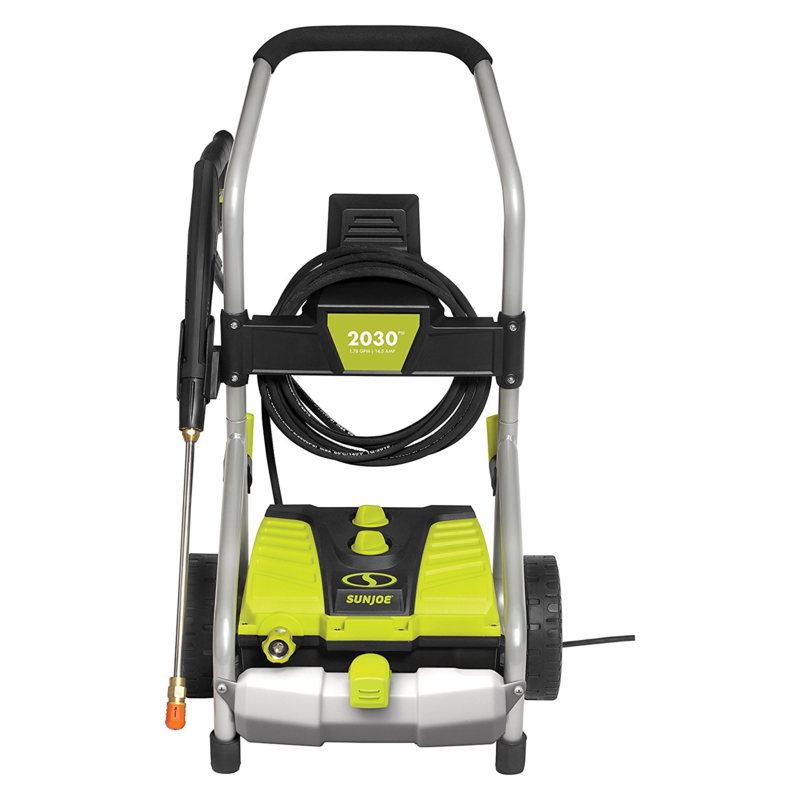 Next one in our list is SUN JOE SPX4000 Electric Pressure Washer. Its 14.5 amp motor can generate up to 2030 PSI of water pressure which is enough to remove every dirty particles. The five quick connect tips helps you in getting option of getting a gentle spray or power spray so that you can use it for various cleaning task. It also has 54.1 fl oz detergent tank that put right amount of detergent and gives perfect cleaning. Its Advanced Pressure-Select Technology helps in getting the correct pressure to remove the dirt, grease etc from surface. The Total stop Power saving system helps in saving the energy and also makes the life of pump longer. Overall Recommended. 14.5 amp motor generates up to 2030 PSI/1.76 GPM. 5 Quick-Connect spray tips (0, 15, 25, 40, soap). 20′ high pressure hose, and 35′ power cord. point of contact is very small.